there. And again, we can not have an intimate relationship with someone else’s wife, but we are allowed to have another man’s wife in the house. Sotoo with all things forbidden by the Torah. We may have them in our surroundings. But with bread on Passover, it is different. On the night before the holiday begins, we must go on a search and destroy mission. Why is this? On the most basic level, bread may be eaten all year long, and therefore we might forget and accidentally eat it during the week of Passover. With pork this would not happen because we never eat this forbidden food. And so, we should remove bread from our homes. However, why must we go to the extreme of destroying every last breadcrumb? 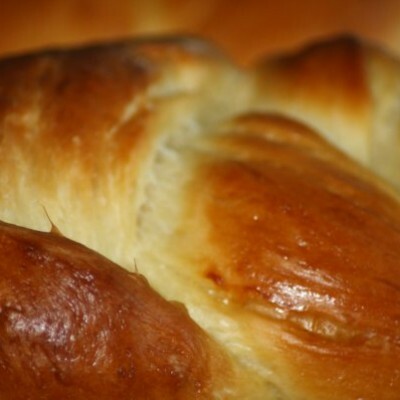 To answer this question, we must discuss what bread represents in Jewish consciousness. Getting nourishment from flour and water requires mixing them together and baking the dough; this creates matza. The only difference between matza and bread is the leavening product; bread is simply a puffed up version of matza. We use yeast or some other leavening agent to modify the original dough. Therefore, leavening symbolizes an artificial modification of ourselves, usually by inflating our ego through arrogance. When we are egotistical, we experience a metaphysical leavening process because we’re merely puffing ourselves up and therefore distancing ourselves from who we really are. The very physical process that takes place during leavening symbolizes the metaphysical changes that a person can experience. A chemical agent reacts in the dough to produce gas that becomes trapped as bubbles, which ultimately become little holes in the bread. The only difference between matza and bread is hot air! Likewise, when a human being starts with his or her basic essence and adds a negative metaphysical agent such as arrogance, it’s like the gas that creates bubbles. We can not be truly content while inflating ourselves with the “hot air” of arrogance. How do we loosen our spiritual shackles? By delving into the deeper meanings of Passover whose theme is freedom. We rarely ask ourselves, “what would I have to do to be free?” though we all have an intrinsic sense of what it would take to make us happy. Some people strive to avoid excessive eating. Others hope to stop feeling the need to impress friends and coworkers. And others want to improve a damaging relationship. Whatever it is, each of us has issues that cause us to be something other than what we want to be. We become prisoners to these things. Anything physical or metaphysical that turns us into someone we know is not us, someone whom we don’t like, is like the leavening agent that takes a basic dough, fills it with air bubbles, and creates a puffed up version of the original ingredients. By ridding our homes of all traces of chometz, we send ourselves the powerful message that just as we remove physical leaven from our possession so too must we remove any spiritual leaven. Only then will we truly feel free and content. The great Chassidic master, Rebbe Pinchas of Koretz, advised his disciples in this way: when burning chometz on Erev Pesach (the morning preceding the Passover festival), we should think that just as the physical bread is being burned, the spiritual leaven should be eradicated as well. With this new understanding, it no longer seems strange that the Torah requires us to rid ourselves of every last morsel of bread before Passover. The deeper message is that for one week we can live with just the basic ingredients, flour and water, and for one week we live with the basic person we are, with nothing that detaches us from our true essence. Leaven is something that modifies. Let’s give ourselves the eight days of Passover to live without that modification in our stomachs, minds, and hearts.